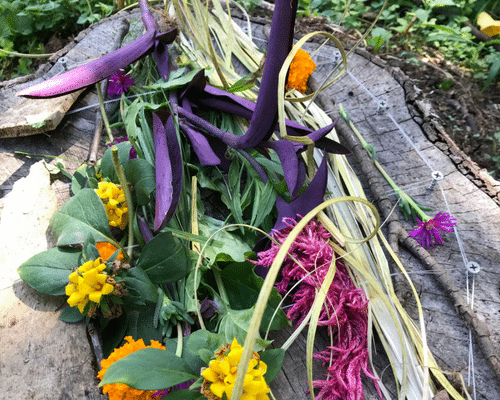 Today we are going to be creating an “Outside Weaving.” We will be using a few more supplies this week and it will require a little more prep work. 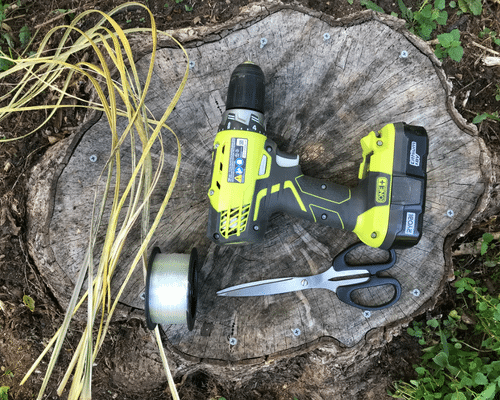 Most of the materials you will probably already have on hand. Let’s get started! 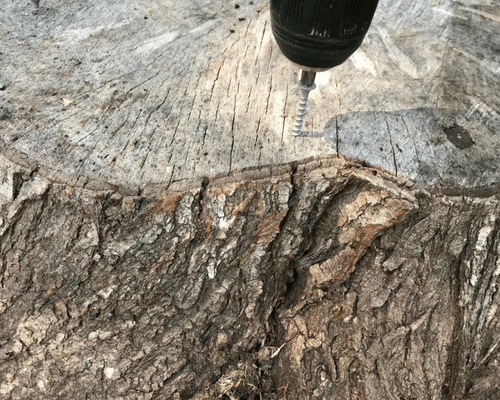 First you are going to want to screw the screws into the tree stump. 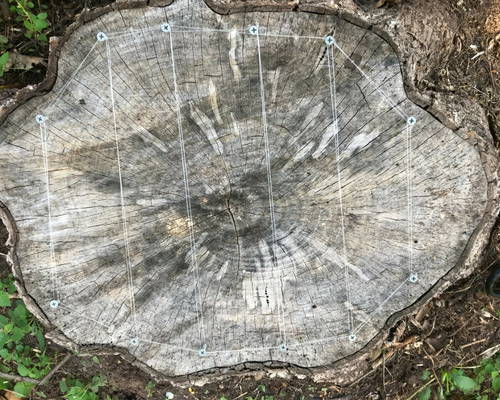 We screwed 6 screws into the tree stump around the top arc & 6 screws into the bottom arc of the tree stump (for a total of 12 screws). 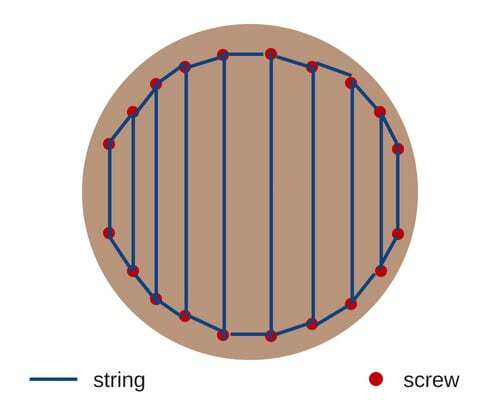 Wrap the string/fishing line around the screws creating a pattern similar to the graphic. 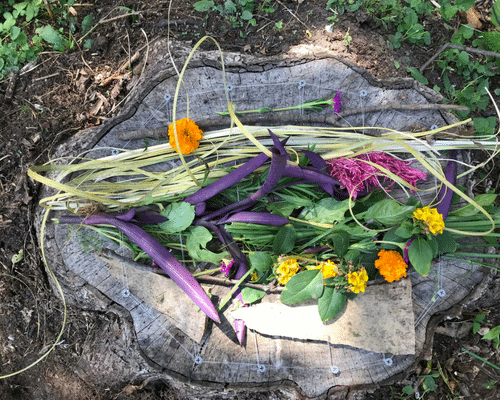 Collect your outside materials and yarn and start weaving into the fishing line using a “under/over” pattern. 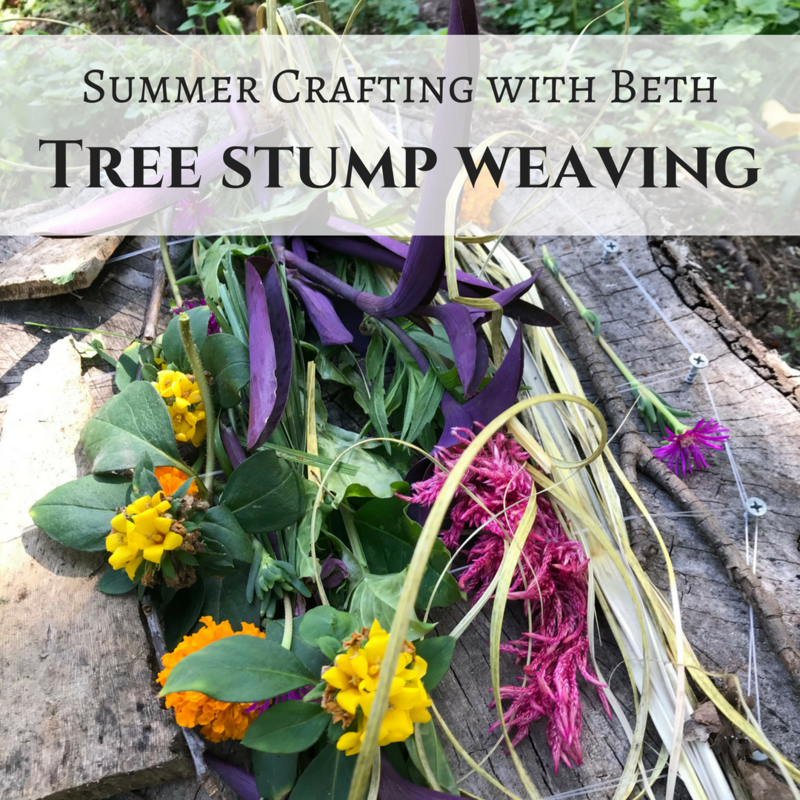 Keep adding to it all summer long and see how big your outside weaving creation can get! 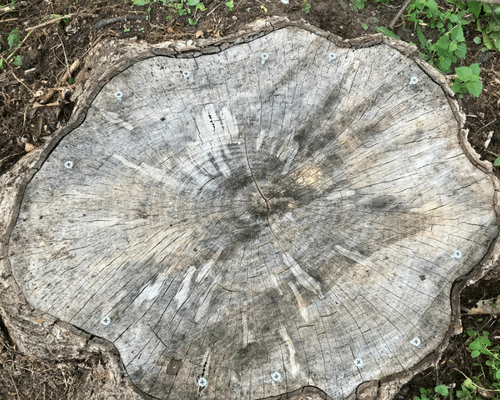 We would love to see what your tree stump weavings, use #SCWBeth2018 or #primepestga to tag us in your photos!